After protracted speculation and negotiations, and what seemed like a thousand requests from cities all over, the 2009 North American Handmade Bicycle Show has decided on a venue for 2009 in what will be its fifth year of operation. The venue for the '09 show will remain a closely-kept secret until the awards ceremony in the show hall at 3 p.m. Sunday 10th February. The flourishing handmade bicycles show features 156 exhibitors from three continents. It is accepted as the place to meet the builders of the world's most beautiful bikes, and with its series of seminars and expert panels is the foremost information exchange in the handmade cycling industry. The nature of the meetings is not only between customers and builders, but also a place for builders to meet builders, and component and accessory manufacturers meet builders. "The industry needed a place for everybody to gather and talk about hand made bicycles from their particular perspective, that's really what it's all about. Now it's gotten popular, we have to keep moving because it's only fair to bring the show to within a day's drive of each of the major cycling centers around the nation. Of course this makes a lot more work for me, the guy who has to make all the arrangements, but I'm interested in providing the best service that I can to all concerned with the show. I may not be Hemingway, but I still think of the show as a moveable feast," says show director, Don Walker. The venue for the '09 show will be a closely-kept secret until the awards ceremony in the show hall at 3 p.m. Sunday 10th February. "Frankly, I think if I can move NAHBS around the country, running the show almost single-handed, then other trade shows probably could too... if they really wanted to provide that level of customer service," states Walker, who may not be Hemingway but has never been afraid to speak his mind. 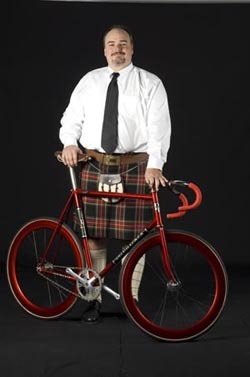 Having started with 23 exhibitors in Houston, Texas, in 2005, the North American Handmade Bicycle Show is dedicated to showcasing the talents of individuals around the world whose art form is the bicycle. It aims to be a gathering point  online and in person  for framebuilders, tubing and component manufacturers, and consumers looking for custom-made bikes; for the sharing of ideas; and for the promotion of this industry and its traditions. For more information, see www.handmadebicycleshow.com.